The development of the digital world has created one major problem – information overload. Information is accessible 24/7 from a variety of sources with varying viewpoints, authority, and credibility. Successfully navigating this complex world of information is possible but only when information literacy skills have been developed. The Association of College and Research Libraries defines information literacy as “a set of abilities requiring individuals to recognize when information is needed and have the ability to locate, evaluate, and use effectively the needed information.” We believe this definition of information literacy highlights its importance for all areas of life – including academics, work, and in one’s personal life. It is also vital to future generations as information is created more rapidly and in larger quantities than in past generations. It is much harder to “weed-out” biased, false, and misleading information as the accessibility of information-creating technology has rapidly increased. Information literacy is generally associated with research papers or class projects but we think information literacy has many implications beyond the classroom. Many daily tasks in the workplace involve the need to find and evaluate information in order to perform a job appropriately. Other common decisions where information literacy plays a role include tasks such as researching health issues, choosing which car to purchase, deciding what to do on your family vacation, watching an evening newscast critically, and so much more. Another major use for information literacy skills is selecting viewpoints and opinions on current news and political issues. We strongly believe in the need to develop the information literacy skills of students across the United States, which led us to create our information literacy test for colleges and universities. We hope you consider using our assessment at your institution so that together we can develop a generation of information literate citizens. The ALAO Conference is finally here and we’re excited to see everyone this Friday at the Project SAILS table. We'll be tweeting live from the conference so be sure to follow us on Twitter to follow the conversations and topics discussed at the conference. You can also follow all highlights from the ALAO Conference on Twitter by using the hashtag #ALAO12. Bring your questions about information literacy to us and we’ll be happy to help you. 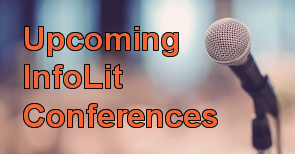 Have questions on information literacy assessment but can’t attend the conference? Post your questions and comments here or visit www.projectsails.org. ALAO 2012 is Friday, October 26 and the Project SAILS team is preparing for this event and the opportunity to showcase the importance of information literacy assessment to universities and colleges throughout Ohio. Information literacy assessment can help to identify gaps in student learning and locate key areas for improvement. The Project SAILS individual and group online assessments are based on ACRL Information Literacy Competency Standards for Higher Education and can deliver the data and insights you need to document curriculum successes and areas for improvement. ALAO is a great opportunity to visit with Project SAILS co-founder, Carolyn Radcliff at our booth. Carolyn has over 20 years experience as an academic librarian and is currently a professor of University Libraries for Kent State University. Carolyn is a published author on information literacy assessment and has actively lent her expertise to ACRL and RUSA. She will be available to offer further insights on information literacy assessment and its importance in the higher education library setting. Are you attending ALAO? Let us know what excites you about this year’s conference. Finding clever ways to engage students (specifically college students) when teaching information literacy skills can be a tough feat. One of the easiest methods for teaching evaluation methods in the classroom is to use current events in the news. This gives students the opportunity to share what they think on a topic, what information they have obtained, and how that information has helped in forming that opinion. Emily Gover, an in-house librarian for EasyBib, recently wrote a blog post on how librarians and faculty can use the current election season to teach students evaluation skills – a very important piece of information literacy. She also highlights a few great resources offered by Infotopia to aid in using the election to teach information literacy skills. It’s important that students understand the importance of evaluating information – especially in regard to selecting the next president. Click to read her full post and begin developing the information literacy skills of your students today! Welcome to the Project SAILS blog! Since the Project SAILS team came together in 2001, we have made it our mission to help academic librarians understand their students’ information literacy knowledge. We have made updates to the SAILS assessment, established both an individual and cohort test, and strived to keep the needs of academic librarians in mind. Today we are building upon this mission with the launch of our blog! We also want this blog to be a way for academic librarians to have conversations with our team. So if you have any questions, suggestions, ideas for blog posts, or if you have specific needs for your course instruction that you would like us to address – please let us know! Also, to be sure you don’t miss any of the great resources we will be sharing on our blog, sign-up for our email list!